Adherence can be a complex dependent variable. Adherence researchers have long understood that adherence is generally not normally distributed and is often resistant to attempts at modification (136). A normal distribution is assumed in linear-based statistics employed in most studies. It is true that some of these statistics are robust to violations of this assumption, but some investigators have chosen to categorize adherence into two groups (adherent or not) for this very reason. Categorization also provides a more heuristic way of describing the data. The problem with categorizing adherence is that there are no set a priori categories used by most investigators. 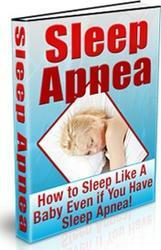 Many use four hours a night as a cutoff for adherent CPAP use. 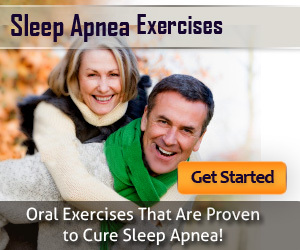 This four-hour cutoff is most likely a result of continued report of four hours per night as the arithmetic average adherence attained in many studies. However, there is no clinical evidence to date that suggests a particular advantage to four hours per night. Similarly, Kribbs et al. (132) used two separate definitions based on intuition. Minimal use was described as four hours per night over 70% of the nights; while optimal use was described as seven hours per night over 70% of the nights. Although appealing, these definitions again have no clinical or scientific data to support them. Even more importantly, there is evidence that adherence may be better considered in several categories rather than either adequate or poor adherence, allowing for individual differences to emerge in the approach to using CPAP. There are reports claiming to identify a critical cutoff for adherence based on clinical outcomes. One study suggested that adherence of at least six hours per night demonstrated an advantage over adherence of less than an hour a night in long-term cardiovascular morbidity and mortality (134). This six-hour cutoff has also been reported at meetings as beneficial to remedy functional outcomes associated with OSA (135). In sum, adherence with CPAP therapy is a complex variable and its complexity must be considered in statistical analyses. Despite this complexity, there is no agreed upon definition of a cutoff for adequate adherence to date.